About a year ago, after the completion of Episode #17 at Kami Sushi, my family and I crossed the streets to browse the outlet stores at Morgan Crossing. 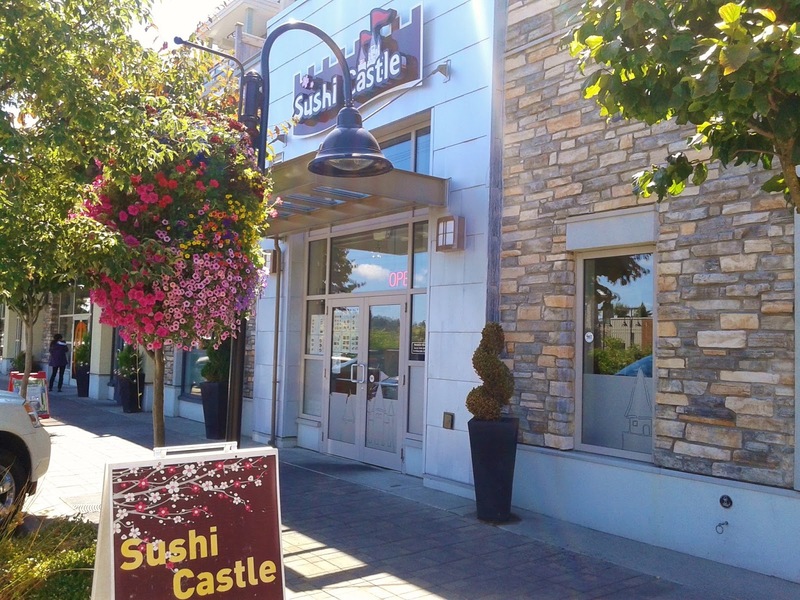 I was quickly engulfed by the magnificent aroma of Chinese food that was emanating from Bamboo Chinese Restaurant, but when I glanced up, the first thing that caught my eyes was Sushi Castle, which is situated just to the right of the Chinese restaurant. The simple, attractive modern decor was enough to convince me to make a visit on my next trip to Morgan Crossing. One year later, that next trip finally took place. 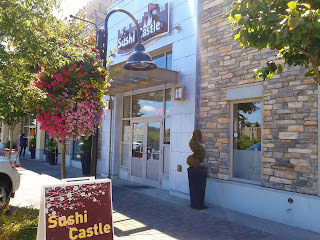 After snatching a few notebooks for five cents a piece at a nearby Staples, I took a half-hour walk to Sushi Castle and entered the restaurant feeling reasonably famished. I usually have no trouble finishing a special roll and a lunch box in one sitting, so I proceeded to order the Special Box E and the Castle Tower. The Miso Soup from the Special Box E arrived quite quickly at a very hot temperature. It was garnished with seaweed and a few bits of green onion. It was decent and well-balanced in terms of flavour. 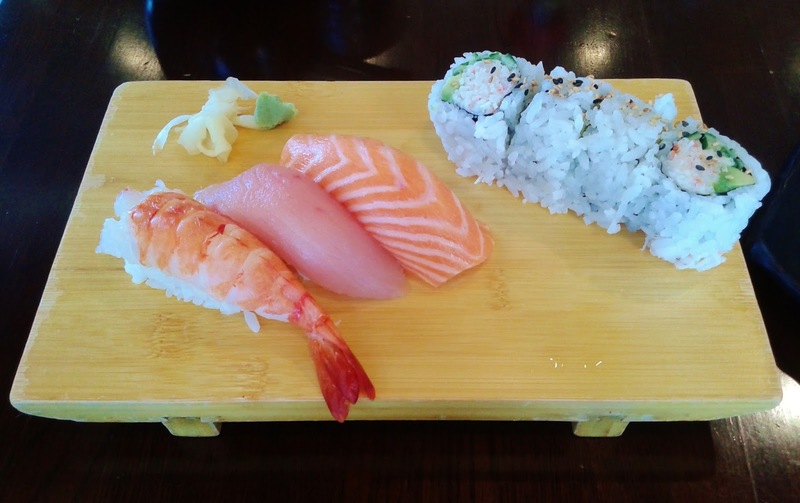 Next to arrive were the three generously sized pieces of nigiri sushi and the California Roll from the Special Box E. The Prawn Nigiri came with a very meaty but rather chewy piece of prawn. The Tuna Nigiri was sufficiently soft, but there was a slight hint of fishiness with the tuna. 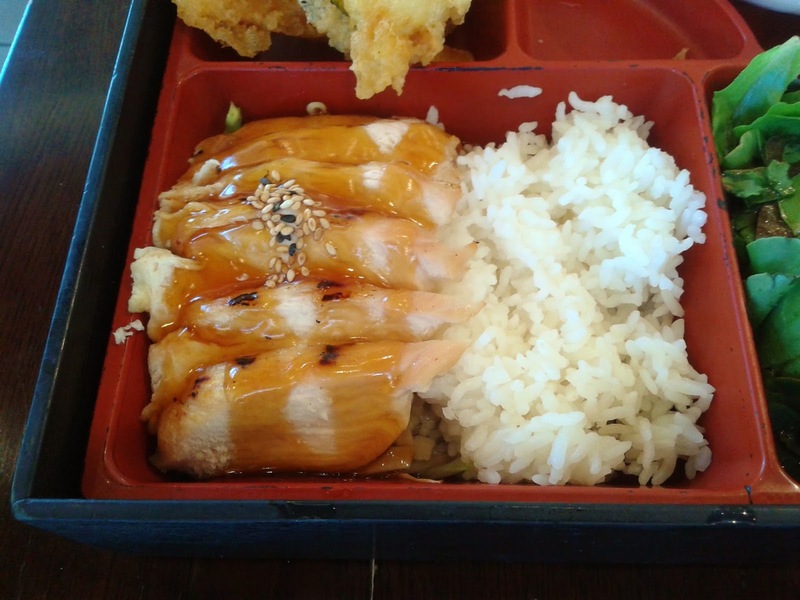 The amount of rice under the Salmon Nigiri was just right. The slice of salmon was peculiarly shaped like a rectangle. The California Roll was neatly constructed, and the sesame seeds helped to enhance the weakly flavoured crab meat inside. The rest of the Special Box E came in enormous portions. At this point, I was starting to get a little worried that perhaps I had ordered too much food. I enjoyed the crispy, meaty Prawn Tempura, and the Kabocha Tempura and Yam Tempura both had enough moisture. 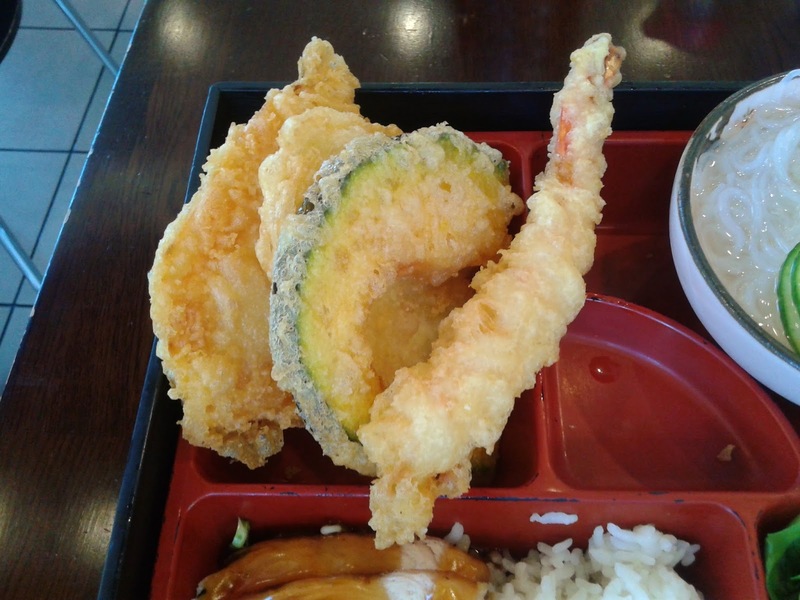 Only the Sweet Potato Tempura was a touch dry. 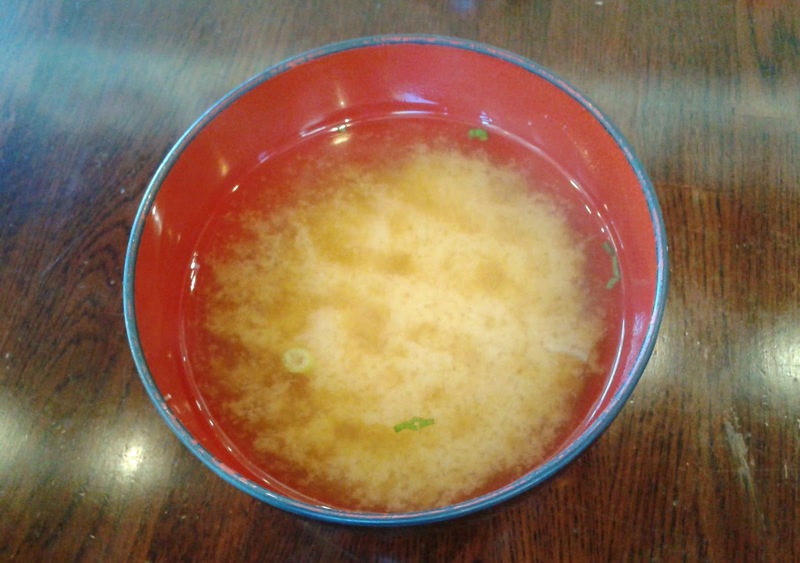 The tempura dipping sauce (not pictured) had a strange sweet flavour, which I didn't really find appealing. 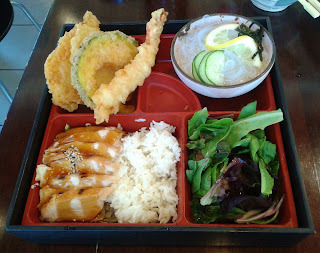 The Plain Sunomono came in one of the most humongous portions I have ever seen for a sunomono. 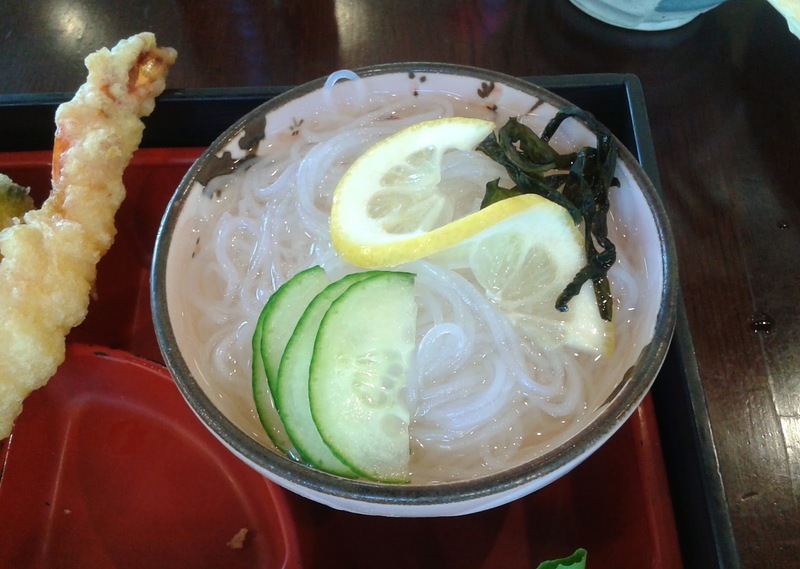 Furthermore, the sunomono was jam-packed with vermicelli noodles! The vinegar was on the milder side, but I found this sunomono quite refreshing nonetheless. 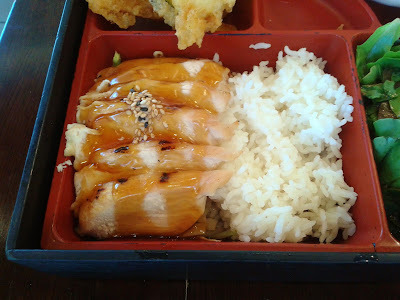 Just like the Plain Sunomono, the Chicken Teriyaki was also very filling. The generous slices of white meat were quite tender. However, all I could taste was the burnt, smoky flavour of the charred parts. This reminded me of my not-so-great experiences at a number of western restaurants. There was also not enough teriyaki sauce to liven up the flavours of the rice and the pan-fried cabbage underneath the chicken. 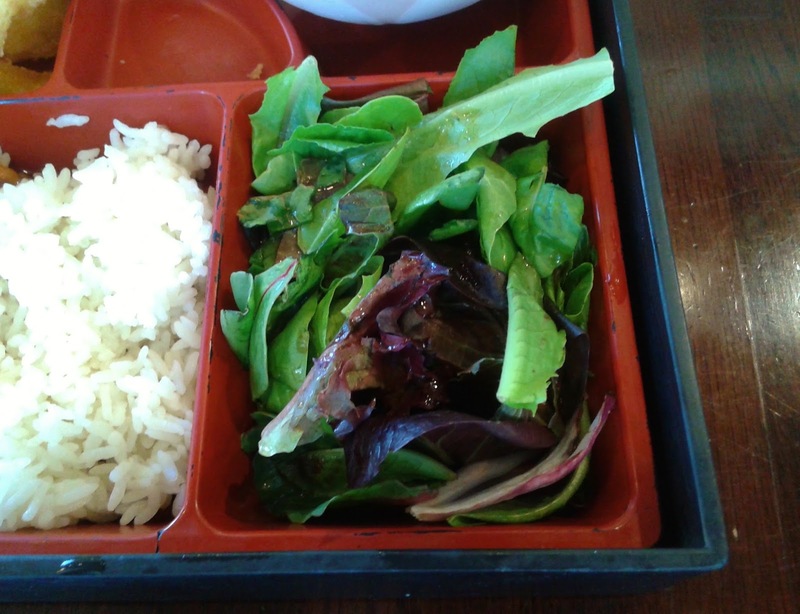 The Salad came with mixed greens and was served with a good amount of dressing. I found the dressing too acidic and tangy for my liking. The impressive Castle Tower quickly piqued the interest of many diners around me. One of them even ordered one for himself! Unlike me, he was actually wise and didn't order much food besides the tower. The Castle Tower easily trumped the size of both of my fists combined. 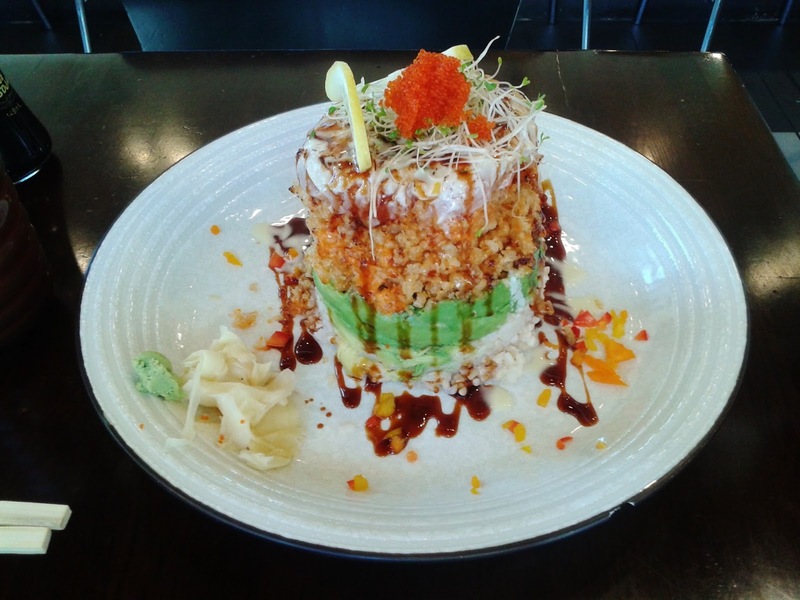 The ingredients in the tower consisted of brown rice, tempura crunch, avocado, seared tuna, sockeye salmon, and Atlantic salmon. My favourite parts of the tower were the tasty seared tuna and the tempura crumbs, which had a nice spicy kick. For practical purposes, I would have preferred a flatter structure so that it would be easier to savour all the ingredients at once. Furthermore, that would help to alleviate some of the blandness in the middle of the tower. After 45 minutes of me trying to finish the Castle Tower, the waitress noticed my struggles and offered to pack up the rest of the tower for me. Carrying a take out box wasn't very convenient for me at the time, so I decided to persevere. It literally felt like the Anton's Pasta challenge on hard mode. At the 70-minute mark, I completely lost my fighting spirit and had to admit defeat. Furthermore, the forces of nature took over and the remains began to dry up. I tried. I really did. I was grateful that even though the restaurant was full at times during my two-hour stay, no one made any gesture to hurry me out of the restaurant.